(Groupe de Réflexion Entre Catholiques or: Group for Reflection Among Catholics). A once hidden story, now revealed. By a Dominican Father of Avrillé, France. In December 2011, Father Michel Lelong, member of the Society of the White Fathers (la Société des Pères Blancs), published a work entitled Pour la nécessaire réconciliation (For the necessary reconciliation), prefaced by Dom Éric de Lesquen O.S.B., Abbot Emeritus of Randol (a foundation of the Monastery of Fontgombault). This book, 159 pages long, relates the work of the Groupe de Réflexion Entre Catholiques (GREC), from 1998 to 2010, in other words, twelve years of “discreet, but not secret” meetings (p. 29). These meetings, which were sometimes monthly, gathered together representatives of the official hierarchy, superiors of the Ecclesia Dei Institutes, and members of the Society of Saint Pius X. Their goal? “To speak without anger about things which make us angrry 1” to favour the “necessary reconciliation”. It will, of course, be necessary to clarify just what those in charge of the GREC meant by this expression. The origin of the GREC: an Ambassador’s dream. The GREC finds its roots in a note written by M. Gilbert Pérol, former French Ambassador to the Italian Government, in 1995, some months prior to his recall to God. He had had the opportunity of meeting Archbishop Lefebvre in Rome and, when at home in Paris, he liked to go with his wife to Mass at Saint-Nicolas du Chardonnet2 each Sunday (p.90). Good diplomat that he was, [my husband] had drafted what is known as a “texte de bons offices” [text of mediation] wherein the points of view of one and the other party are presented, seeking what is common to both, and inviting each party to take a first step towards the other. The GREC – a means of perpetuating my husband’s life – was born from this text [p.90]. Following several encounters which are related in Father Lelong’s book (pp.21-25), a first working group was set up in 1998, which led to the organization of conference-debates which would deal with those points currently disputed in the Church. The participants: a most varied palette. Laymen, such as Paul Airiau, Jacques-Régis du Cray, Luc Perrin, Philippe Pichot-Bravard, Jean-Maurice Verdier. Madamoiselle Marie-Alix Doutrebente was named secretary. Let us add, in order to complete the list of those who were principally in charge, that, on the 18th September 2004, a “theological group” was created within the GREC, one member of which was Father Charles Morerod O.P., professor at the Angelicum in Rome (p.57). This religious “will be one of the personalities chosen by Benedict XVI to participate in the doctrinal discussions between the Holy See and the Priestly Society of Saint Pius X” (p.48). Father Morerod has the absolute confidence of today’s Rome, since he was consecrated bishop a short while afterwards. In any case, the link between the GREC and the discussions with Rome of 2010-2011 is clear. Also participating in the meetings of the GREC were certain French bishops, priests and laypeople belonging to the Diocese of Paris and other French dioceses, members of the Society of Saint Pius X, of the Fraternity of Saint Peter, and of the Institute of Christ the King (p.27). Both Father du Chalard (SSPX), whose “support was as discreet as it was attentive” (p.26), and Dom Éric de Lesquen (then Abbot of Randol), “who had played a part in Dom Gérard’s agreement with Rome of 8th July 19884”, supported this initiative from its very beginnings. The Nuncio, Monsignor Fortunato Baldelli warmly welcomed it. It was the same story for his successor, Monsignor Luigi Ventura (pp.29-32). The French Bishops’ Conference was informed of it. 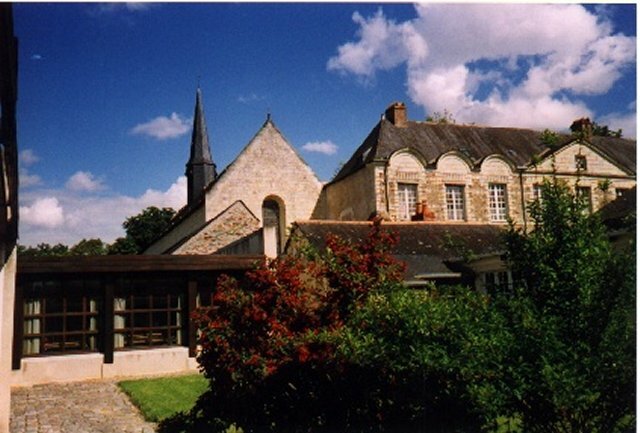 Following a visit from Madame Pérol, Father Lorans and Father de la Brosse to Cardinal Ricard, a bishop was designated at their request to follow the work of the GREC and to inform the Bishops’ Conference of it: the bishop was Monsignor Breton, Bishop of Aire and Dax. When Archbishop Vingt-Trois of Paris succeeded Cardinal Ricard as head of the Bishops’ Conference of France, the same group visited him, promising to keep him informed regularly (p.35). Amongst the other Cardinals and bishops having supported the GREC, we can mention: Cardinal Barbarin of Lyon, Archbishop Duval of Rouen, Bishop Aubertin of Chartres, Bishop Fort of Orléans (who often came to the meetings), Bishop Delmas of Angers, Bishop Aubry of La Réunion, Bishop Rey of Toulon, Fathers Brouwet and Aillet both before and after their episcopal consecrations (p.41). It was Father Lorans, for the Society of Saint Pius X, who kept Bishop Fellay informed (p.35). On Rome’s side, the following were kept up to date: the Secretariate of State from 1998 onwards, then Cardinal Hoyos, President of the Ecclesia Dei Commission, Cardinal Ratzinger, then President of the Congregation for the Doctrine of the Faith, and numerous Vatican personalities. When Cardinal Ratzinger rose to the Sovereign Pontificate, the GREC was able to have direct contact with the Pope (pp. 44-48). What was the goal of these meetings? If it were only a case of having meetings to try to make the Conciliar Church authorities understand the necessity of returning to Tradition in order to save souls, every Catholic (in other words missionary) mind could only have rejoiced. Unfortunately, from the beginning, the GREC set off down a path which could not have been more ambiguous. In the book’s preface, in effect, Dom de Lesquen, wishing that the action undertaken (by the GREC) would “obtain precisely that the act qualified as schismatic by the Holy See in 1988 not turn into an out-and-out schism” (pp. 12-13), adds: “The GREC’s objective is the necessary reconciliation” (p.15). What reconciliation are we talking about? For a Catholic, the answer is clear: that the Holy See reconcile itself with the teachings of the Popes and Councils before Vatican II. This reconciliation is necessary, because it is the only means of saving the Church and the world. We hope that this will be the opportunity for the Society of Saint Pius X to regularize its canonical situation and thus to be able to manifest its will to return to full communion with the Holy Father (p.52). Seen from the Traditionalist point of view, a benevolent – but superficial – interpretation, gives another understanding: the letter to the Pope means that the goal of the GREC is to remake unity in the Church, to at last once more find union with the Holy See, to get out of this tragic and terribly painful situation – which it truly is – which consists in being in opposition with the Head of the Church. Moral theology adds that “an ambiguity, which hides the truth, can only be used in case of necessity or for a reasonable cause7”. But, if there is a time when hiding the truth is illicit and dangerous, it is precisely when the Faith is at stake. How can one make use of ambiguity by making the authorities believe that one desires to return to full communion with them, whereas they persist in continuing along a path which leads to apostasy? Had those unofficial representatives of Tradition who signed this letter with the other members of the GREC forgotten the warnings of Archbishop Lefebvre? Rome has lost the Faith. Rome is in apostasy. […] We can no longer trust these people. They have left the Church, they are leaving the Church. It’s sure, sure, sure8. When I am asked when there will be an agreement with Rome, my answer is simple: When Rome crowns Our Lord Jesus Christ once more! We cannot be in agreement with those who uncrown Our Lord. The day when they once more recognize Our Lord as King of peoples and nations, they will not have joined up with us, but with the Catholic Church in which we remain9. At that moment, the canonical question will be immediately resolved. The GREC never had a vocation to participate in any negotiations whatsoever. Its raison d’être is much more humble: it strives to create, through meetings and regular discussions, a climate of mutual benevolence, which is the indispensable prelude to any eventual rapprochement and reconciliation whose practical details and time-frame are unknown to us10. The method used by the GREC. Conference-debates and approach of the authorities. “We wanted to remain discreet. But we did not want to be secret” (p. 29). It is understandable that it was better to exclude journalists and avoid internet debates for such a delicate affair. It is nonetheless astonishing that no reference was made to these meetings during the four symposia on the Second Vatican Council held in Paris between 2002 and 2005, symposia which brought together priests of Tradition from all over the world. These symposia, which were themselves of a completely public nature, were conducted under the patronage of Bishop Fellay. While the workshops at these symposia were highlighting the harmfulness of the Council’s texts, “discreet” meetings relativizing the errors of Vatican II and seeking to open the path to a canonical recognition of the Society were taking place in the very same city, unbeknownst to the participants of the symposia. Given what was at stake, it is also astonishing that, throughout twelve whole years of conferences and approaches made towards the Conciliar Church, the superiors of those religious communities working alongside the Society of Saint Pius X were excluded and were not informed of what was being done. Father Lelong’s book itself failed to elicit any response in the official organs of the Society of Saint Pius X, not even to deny or qualify what the author said. Yet, three years have passed since it was published. We can therefore suppose that the persons mentioned in this book have nothing to add. But now let us see how the work of the GREC was carried out. For twelve years, numerous conference-debates were organized on major topics: “Ecumenism, risk of apostasy or future of the Church?”; “Interreligious dialogue, peril or hope?”; “Which path for the Church? Concrete proposals for getting out of a crisis” (p. 59); “Should we revise and/or interpret certain passages of the Second Vatican Council?” (p. 64), etc. We will try to see, a little later on, why these conferences, interesting in themselves, ended up in total failure. Listening to their presentations, we could see that the doctrinal and spiritual convergences between these two theologians were much more numerous and profound than the divergences between their respective approaches (p. 64). Would there have been the same convergence if it had been Archbishop Lefebvre face-to-face with Father Morerod, a priest who is totally one with Rome’s modernism? An impressive series of diplomatic comings and goings. Alongside these discussions took place an impressive series of diplomatic comings and goings: bishops, nuncios, Secretariate of State, Ecclesia Dei Commission, all were kept up-to-date on the GREC’s activities. Once Benedict XVI was elected, it was the Pope himself who was informed in person. According to Father Lelong, the accession of Cardinal Ratzinger to the Sovereign Pontificate “was welcomed by the leaders of the GREC with great joy and much hope, a hope which was not to be disappointed, but entirely fulfilled” (p. 48). These men were in complete utopia. We refer our readers to Bishop Tissier de Mallerais’ brilliant study entitled L’Étrange théologie de Benoît XVI11 as well as to the premier bilan (i.e. initial assessment) of his pontificate, published (complete with photographs) by Le Sel de la terre, 84. In any case, this admission of Father Lelong is revelatory of the spirit which reigned in the GREC, especially under Benedict XVI. To enter a little farther into the details, this diplomatic action of the GREC was conducted mainly in two different directions: towards the Pope on one hand, and towards Bishop Fellay on the other. Was this letter the personal initiative of Father Lelong, or did it have the approval of the unofficial representatives of Tradition within the GREC? The book does not say. In any case, Cardinal Sodano having asked for “signs of repentance” (p. 44) on the part of the authorities of the Society, the approach resulted in nothing. As regards the question of the lifting of the “excommunications”, the situation remained unchanged under the pontificate of John Paul II. However, starting from the pilgrimage of the Society of Saint Pius X to Rome for the Jubilee of the Year 2000, frequent contacts began to take place between Bishop Fellay and Cardinal Castrillon-Hoyos, then President of the Ecclesia Dei Commission. Father Lelong does not say a word about them. We know that the priests of Campos (Brazil), invited by the General House of the Society to join these negotiations, did not resist the seduction of Rome. This was their deplorable rallying to Conciliar Rome, victory for Cardinal Castrillon and loss for the combat of the Faith. Bishop Rifan now concelebrates the New Mass fervently12. We are very grateful, Most Holy Father, for this decision [concerning the Motu Proprio] and we wish to respond to your call for reconciliation among all Catholics, respecting those legitimate diversities which exist within the Church. There are many of us who wish that the proposition handed by Cardinal Castrillon-Hoyos to the Society of Saint Pius X will meet with a favourable outcome, since the doctrinal questions relative to the Second Vatican Council are of interest to the whole Church. We also wish that the excommunications be lifted and that the Society of Saint Pius X once more find its place in the Church where it has so much to bring [pp. 49-50]. We think that the lifting of the excommunications would set in motion an inevitable process of approach, in view of an agreement between the Holy See and the Society of Saint Pius X, or at least an agreement with a large part of the priests and faithful of aforementioned Society (p. 52)13. The request appears to have obtained its effect, since the “excommunications” were lifted in the beginning of 2009. At that time, all too often aggressive and polemical points-of-view were being expressed both on the part of those Catholics attached to tradition14, as well as on that of those who claimed to follow the spirit of the Council. These were not contributing to bring about that climate of peace and mutual confidence which is necessary in the search for a true reconciliation (p. 33). The Society of Saint Pius X must understand that, even if it has much to bring to the Church of Rome, it also has much to receive from it. Therefore, it must stop rejecting Vatican II in its entirety (p. 85). We ask the leaders of this Society to cease declarations and polemical articles which criticize the Holy See (p. 50). Are you not afraid that by refusing the repeated calls of the Holy Father and by permitting yourselves to criticize him unjustly and systematically, the Society will end up taking a path which will lead it inevitably to separate itself from Holy Church, as has – alas! – happened throughout history? (p. 39). Occupied Rome does not really mind cozy academic discussions taking place between theologians about Vatican II. It allows the Ecclesia Dei communities to engage in them in principle. It gives an impression of openness. But what this Conciliar Church cannot bear is that scandals be denounced: the ecumenical meetings at Assisi, the visits to synagogues and mosques, the false beatifications and canonisations, etc. It is especially these scandals which, over the years, cause millions of souls all over the world to lose the Faith. But, when the Faith is in danger, attacked by the wolves, it is a duty for the shepherds to shout out in order to protect the flock. Not to do so is a grave sin in relation to the confession of the Faith, because to attack current-day Rome, destroyer of the Faith, is necessary to maintain the great Truths of the Faith. All the efforts of the Conciliar Church since the Consecrations by Archbishop Lefebvre in 1988 have been employed in breaking off groups of priests from Tradition by granting them the Traditional Mass without asking them to officially accept Vatican II15. Conciliar Rome knew that by acting thus, it would no longer have anything to fear from these groups: they could do nothing else but remain silent concerning the Council and the scandals of the hierarchy, for fear of losing their canonical recognition and of being refused all apostolate in the dioceses. That is what happened with all the Ecclesia Dei communities without exception from the moment that they signed, and it is their great sin before history, before the Universal Church and before all souls. Today’s Rome desires the Society of Saint Pius X to go down this path. At this point we must understand the subversive techniques used especially in the last two centuries by the enemies of the Church. Their major tactic for destroying resistance consists first and foremost in obtaining an end to any attack against them. To obtain this, they use liberal Catholics, their best auxiliaries, seducing them by promising them peace, on condition that they cease fighting. At the same time, they provoke anathemas against those (the anti-liberals) who are not resigned to lay down their arms. They cover them with all sorts of epithets, calling them men of bitter zeal, integrists16, etc. In this way, the enemy seeks to isolate them in order to remove all influence they may have. Then, at their leisure, they can work away at putting the main part of the flock to sleep and slowly win it over to the new ideas. Thus, in the 1950’s, under Pope Pius XII, there were thousands of good priests who were both pious and doctrinally sound. T hen “Good Pope John” arrived, with his suggestion at the beginning of the Council of no longer anathemitizing, of no longer condemning errors, with the exception of “the prophets of doom” who, following in the footsteps of the anti-liberal Popes, continued to lambast modern errors. The manoeuvre succeeded. Just look at what the Church has become today all over the world17. Archbishop Lefebvre rose up and unfurled the flag of battle. This was the foundation of the Society of Saint Pius X and the works of Tradition, which spread like wildfire throughout the entire world. Since the death of Archbishop Lefebvre we have witnessed the manoeuvres of modernist Rome (advised by Freemasonry) to destroy the only organized resistance to world Revolution. T his manoeuvre consisted in attacking the superior authorities of the Society in particular, among whom they had detected certain weaknesses (because the enemies of the Church are shrewd observers). Father Lelong’s book does us the service of enlightening us on at least one part of this operation. The results of the GREC. In 2010, when the doctrinal discussions began in Rome between the Holy See and the Society of Saint Pius X, the GREC ceased its activities, or at least the conference-debates18. Did letters and telephone calls continue in order to advance the “necessary reconciliation”? It is quite possible. When a group of people shares the same objective, relationships and friendships built up over the course of years do not just stop from one day to the next. Besides, it is very dangerous to keep up regular contact with heretics (and the Modernist heresy is the most dangerous in this respect, since it does not clearly affirm its errors). By dint of frequent meetings, we end up forming friendships, relativizing what opposes us, no longer speaking about it, and at last abandoning the fight. How many priests of Tradition have fallen for having played this imprudent game, with a good intention at the beginning. Such an apostolate requires men of the strength of Archbishop Lefebvre. Having known the Rome of Pius XI and Pius XII, he did not allow himself to be impressed by the Rome of Paul VI or John Paul II. And even a bishop of the stature of Archbishop Lefebvre almost fell into the trap by signing a protocol of agreement on the 5th May, 1988. He recovered heroically during the night and saved us. It is now time to take stock of this group’s activities between 1998 and 2010. The failure of the conference-debates. Dom de Lesquen is still persuaded that the episcopal consecrations of 1988 were “a schismatic act” potentially leading to “an out and out schism” (p. 13). Father Lelong is so enthusiastic about the last Council that he devotes an entire chapter of his book to an unreserved defence of it (Chapter 4, pp. 71-87). He observed that, in our country [France], the misunderstandings and tensions between the French bishops and the Society of Saint Pius X often had to do with political motivations, rather than truly theological reasons. This observation seemed perfectly correct to me since, in the 1970’s, I had often heard French bishops reproaching Catholics attached to the Latin Mass with being “extreme right-wing” (pp. 44-45). To still be at this point after twelve years of meetings, discussions and conference-debates has something quite despairing about it. Father Lelong will reply that the goal of the GREC was not to sort out the doctrinal question, which can only be done by authority. Certainly, but without having the pretention to resolve current problems with all the technicality of theologians, it is difficult to understand how priests and bishops speaking about doctrine for twelve years, did not advance a single step. And how can we explain the fact that the top-level discussions which took place in the period 2010 – 2011 between the Roman theologians and those of the Society of Saint Pius X (despite being carried out in a remarkable manner by the latter), ended up in the same failure? Whence the impossibility of discussing the crisis in the Church? The first cause, with today’s clergy, is, in a general manner, a subjectivist and evolutionary concept of the truth, which comes from a warped theological formation. When we are all together in friendship, writes Father Lelong, I often think of Gilbert Pérol who, while actively taking part in Islamic-Christian dialogue, had the idea for having this dialogue between Catholics (p. 27). Since Vatican II, there was a lot of talk in the Church of dialogue with Protestants, Jews, Muslims, the Dalai-Lama, and also with atheists. Those with whom there was no dialogue were the faithful attached to the Mass of Saint Pius V, labeled as integrists (p. 60)20. The very aim of the discussions seem, therefore, to have been achieved: French Catholics, of diverse and even opposed sensibilities, have freely accepted to engage in a dialogue which in no way prejudices a total reconciliation – domain which is reserved for the competent superiors – but opens the possibility, when the day arrives, for the authorities involved in dialogue to come face to face with partners capable of understanding and mutual respect, and no longer confined in radically opposed camps21. This term is totally unknown and unused in pre-Vatican II doctrine (p. 347). […] Dialogue, it is said today, does not have either the refutation of error, or the conversion of the interlocutor as its goal23. Accordingly, both parties to the dialogue remain consciously within their identity, which the dialogue does not place in question either for themselves or for the other24. It remained to specify the best way of implementing this beautiful project, by associating with it Catholics belonging to very diverse schools of thought, but who share our concern to contribute towards the unity of the Church, respecting legitimate diversities (p. 25). After the Motu Proprio of the Holy Father in July 2007, we can hope that the old and the new rites will from now on not only live alongside one another, but mutually enrich one another, as Benedict XVI desires (p. 82). The Society of Saint Pius X must understand that, if it has a lot to bring to the Church of Rome, it also has a lot to receive from the latter. Therefore, it must stop rejecting Vatican II in its entirety and accept its main orientations, interpreting them as the Holy Father proposes today (p. 85). In the same way that, from the liturgical perspective, the Motu Proprio said that the Traditional Mass was never abolished, we are going to arrive at a situation where it will be said that the doctrine from before the Council concerning the disputed points was never abolished. We can follow the “extraordinary doctrine”. And just as the extraordinary liturgy draws the ordinary liturgy to itself, so we can hope that the “extraordinary doctrine” will draw the “ordinary doctrine” to itself also” (p. 121). This all makes one want to cry out: sufficit(enough is enough)! The entire tradition of Catholic Faith must be the criterion and guide in understanding the teaching of the Second Vatican Council, which, in turn, enlightens – in other words deepens and subsequently makes explicit – certain aspects of the life and doctrine of the Church implicitly present within itself or not yet conceptually formulated [No. 4]. This Doctrinal Declaration has never been retracted by Bishop Fellay. It has simply been “withdrawn”. Bishop Fellay should know that compromise with error will never restore unity. Wherefore, in His divine wisdom, He ordained in His Church Unity of Faith; a virtue which is the first of those bonds which unite man to God, and whence we receive the name of the faithful […] The Church, founded on these principles and mindful of her office, has done nothing with greater zeal and endeavour than she has displayed in guarding the integrity of the faith.25. A “dialogue” where one part of the interlocutors is not seeking the truth, but, on the contrary, a union outside of the constant and infallible Teaching of the Church, can only end in failure. And it will be the Church and the Faith which will be the losers. In such conditions, it is understandable that after twelve years of (sometimes monthly) discussions, the Conciliar interlocutors and the unofficial representatives of the Society stuck firmly to their positions. A dangerous diplomacy, and a weakening of Tradition. If the GREC had limited itself to discussions which had resulted in nothing, the most that could have been said was that it had all been a waste of time, and that the time for the restoration of the Church had simply not arrived. But, was there anything more dangerous than setting all the authorities of the Church in motion by allowing it to be thought that the Society of Saint Pius X desired a canonical regularization and a return to full communion with the Holy See at a time when the Conciliar Church was continuing its descent into apostasy? This firm resolution normally-speaking should have stopped the diplomatic initiatives of the GREC in their tracks from 2006 onward. This did not happen. So, while, the world over, Tradition continued to live and develop in peace, in the belief that it was protected by the decisions of the highest authorities of the Society, an informal group composed of both Traditionalist and Conciliar figures was discreetly continuing to prepare the way for a practical agreement with “the Rome of Neo-Modernist and Neo-Protestant tendencies28”. Let us trust in the Blessed Virgin who got us out of a tight corner, it is true. This year, she got us out of this tight corner, she did not want any of this talk of an agreement; in other words, that we would go to Rome to submit ourselves to the Conciliar authorities. Certainly, they are the authority in the Church, the Pope is Pope, Successor of Peter, but he is also the representative of this system which controls the Church, which paralyzes the Church, which we name the Conciliar Church by manner of speaking. It is not another Church, it is another form of Church, it is a new religion which has penetrated within the Catholic Church, and which is supported by the Pope and the entire Hierarchy, apart from some exceedingly rare exceptions. Dear Faithful, how could you want us to submit ourselves to such a Hierarchy? It would have been impossible to collaborate, it would have been a bogus collaboration, a lie. We would never have collaborated and we would have been constantly persecuted, threatened by the bishops and by Rome. How could one survive in such conditions? With the obligation of signing a misleading text, ah no! Nevertheless, Tradition emerged in a weakened state from the whole episode. It is difficult to say precisely what role the GREC played in the evolution of Tradition since 1998. In any case, it would be impossible not to make the link between the reiterated appeals made by this group to put an end to attacks against Rome, and the fact (observable by all) of the loss of the spirit of combat in Tradition, at least generally-speaking. The emblematic example of this is the DICI newsletter, official organ of the General House of the Society. Headed up by Father Lorans, one of the main leaders of the GREC, DICI endeavours to always show the least bad side of the Pope, and remains silent concerning those scandals which cause the loss of Faith. Continual complaints made to Bishop Fellay by figures of authority within the Society, by priests and by members of the faithful, have never achieved any result. Such pertinacity proves beyond doubt that there has been a change of direction. Archbishop Lefebvre passed on everything he had received. The entire heritage of Father Le Flo’ch30, of the [French] Seminary [of Rome], all his experience, he passed it all on through the Society, and it continues to work, but only so long as we continue with the same spirit of combat. There can be no question of putting away our arms in the midst of battle; we are not going to look for an armistice while the war still rages on, with Assisi III or IV, with the beatification of a false Blessed, Pope John Paul II – a false thing, a false beatification, and the demand ceaselessly made to us by Benedict XVI to accept the Council and the reforms, and the magisterium from after the Council31. The voice of Bishop Tissier, echoing that of Archbishop Lefebvre, seems, however, to be have been lost in the desert. Let us not imagine that this will not have its consequences. The vast majority of the faithful in our chapels do not form themselves, they do not read. Only from time to time do they concern themselves with the future of their family and of their children. Assistance at Mass (to which they arrive ever later) is for them the maximum they can commit towards their eternal salvation. Some of them add to this the daily recitation of the Rosary, the most fervent among them saying the full fifteen decades. Some free up their consciences by signing a petition or by risking themselves in some protest or another, but that is all. Do not talk to them about any in-depth work or study of Freemasonry, for example, and its role in the current state of a society which is in the process of being de-Christianized, a fact which they deplore! Speak to them about the root causes of the decomposition of the Church which has become Conciliar, or of the crisis which seriously affects Tradition today, and they care not. To this we should add the growing levels of immodesty in many chapels, the stagnation of the number of faithful attending spiritual retreats, the resulting insufficiency in the number of vocations, etc. There are, of course, edifying exceptions, but these are no longer numerous enough to inspire the whole with new fervour. As we write this article, we do not know if a practical agreement between the Society of Saint Pius X and Modernist Rome will take place within a shorter or longer time-frame. But the very fact of no longer denouncing the scandals coming from Rome, or of only doing so timidly, under pressure from concerned priests and faithful, avoiding attacking the Pope by name, makes Tradition resemble more and more those communities which have already gone over to Rome and which have abandoned the combat of the Faith. The day when we will be fully imbued with their spirit, a practical agreement with today’s Rome will no longer be a problem for anyone. The new direction of the General House of the Society will have destroyed the work of Archbishop Lefebvre. The enemy will have conquered. Will Providence raise up a small remnant to continue the fight and to save what can be saved? Father Michel Lelong, Pour la nécessaire réconciliation, Le Groupe de Réflexion Entre Catholiques (GREC), Paris, NEL, 2009 (159 pages). Price: €19. 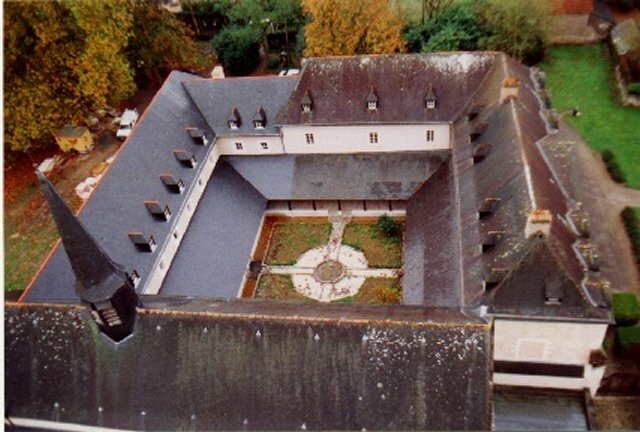 This is a sermon given in the Dominican monastery la Haye-aux-Bonshommes in Avrillé (France). Starting on May 13, the Most Holy Virgin appeared to three young shepherds on the 13th of every month in the presence of a growing number of pilgrims and the inquisitive. The children alone saw Our Lady. It is not sufficient to say that the message was a call for prayer and penance, as the Vatican claims. Such a lack of precision allows the particular demands given by Our Lady for our times to be placed under the bushel. We must therefore state the exact nature and the aim of the prayer request. Therefore, it is more correct to say that the instructions given by Our Lady between May 13 and October 13 may be summed up in these words: the daily Rosary and sacrifices for the conversion of sinners. That is the Fatima message in general. - and in 1929, the request was made for the Consecration of Russia to the Immaculate Heart of Mary by the Pope in union with all the bishops in the world. It would be an error to limit the Fatima message to these two particular requests and to forget the general request: the daily Rosary and sacrifices for the conversion of sinners. Let us go back to the 13th day of October 1917, the day that we are commemorating today. As early as July 13, the Virgin Mary announced a huge miracle that would take place on October 13 so that the entire world may believe in the reality of the apparitions and in the serious nature of Heaven’s warning. The story is well known: a crowd of nearly 100,000 people gathered in the area; they were mostly Catholics, but also non-believers, militant atheists, and even the freemasonic government minister for national education. A torrential rain pouring from midnight on soaked everyone to the bones and rendered the Cova da Iria1 into a muddy field: in order to give blessings, God wills that we first do penance. At midday, Lucy asked the people to fold their umbrellas. The entire crowd complied and magnificently displayed their faith and obedience. A few moments later, the sun broke through the clouds and Our Lady appeared above a small holm-oak. She asked for the conversion of sinners and, as in every apparition, she insisted on the daily recitation of the Rosary. Then, suddenly, Lucy cried out: « Look at the sun! » In front of the stupefied crowd of people, the sun gyrated in on itself as if it were a fire wheel, turning various colors of the rainbow. This lasted nearly eight minutes but seemed like hours. This cannot be attributed to a collective hallucination, because the phenomenon was seen within a forty-kilometer radius by various individuals. - representing the Glorious Mysteries: the Virgin Mary in Heaven was seen holding the scapular of Mount Carmel. The sun then turned blood red in color and seemed to fall from the sky and hurl itself towards the earth. Everyone believed that the end of the world had come. Then everything stopped – the sun returned to its normal place in the sky. The people got up and noted another phenomenon: their soaked clothes were completely dry. The non-believers had to acknowledge the reality of the facts. The following day, newspapers, including those most hostile towards the Church, all reported on the event. What lessons may we draw today from this miracle? Firstly let us observe the spectacular nature of this miracle. We must turn to the Old Testament to find similar prodigies that were performed in front of an immense crowd of people: such as the manifestation of God to Moses and to the Hebrew people on Mount Sinai (Ex 19); or when Joshua stopped the sun and the moon from advancing so that nightfall would not prevent the Jews from exterminating the enemies of Yahweh (Jos 10). The miracle of October 13, 1917 is assuredly the largest miracle in the entire history of the Church. Let us ask why. These two Cities are made by two loves: the heavenly City by love of God even to the contempt of self; the earthly City by love of oneself even to the contempt of God (St. Augustin, The City of God). I will put enmities between thee [the snake] and the Woman [the Virgin Mary], and between thy seed and her seed [Our Lord; the Church]: she shall crush thy head, and thou shalt lie in wait for her heel [the persecutions of the Church] (Gen 3, 15). We are now living in the times when « the devil is fighting the decisive battle, meaning the final battle », says Our Lady2. This is the day when the general assault of all anti-Christian forces is launched against the Church. It is urgent that we realize the terrible reality that we are in. We do not wish to frighten people, but this is an urgent call to the reality of our situation, comments Sr. Lucy 3. And it is in order to draw our attention to this final phase of the history of the Church that Heaven produced the largest miracle of the past 2,000 years. Paradoxically, the current Church authorities are totally silent on this event. And so, in the year 2000, when Cardinal Ratzinger released to the public a questionable version of the third secret of Fatima, he made no allusion whatsoever to this miracle. The current Church authorities have not yet fulfilled the Virgin Mary’s request, and so it is understandable that they are embarassed by this miracle, which clearly proves the heavenly origin of this request. At the same time – could it be their guilty conscience? – these authorities feel obliged to talk from time to time about Fatima and to perform the consecrations of the world or of mankind. Pope Francis made one such consecration on October 13, 20134. However, by not consecrating Russia to the Immaculate Heart of Mary as Our Lady requested, the popes are unable to provide the world with the promised remedy, and the situation continues to get worse. We will now move to the second important consideration: the Fatima apparitions are the key to understanding all the events of the 20th century and all that we are living through today, whether in the religious or political sphere. To be truly convinced of this, one only needs to read the authoritative work by French Br. Michel of the Holy Trinity, The Whole Truth about Fatima5. I will come to ask for the Consecration of Russia to my Immaculate Heart and for the Five First Saturdays in reparation for the sins, said Our Lady on July 13, 1917. If my requests are granted, Russia will be converted and there will be peace. If my requests are not granted, Russia will spread her errors throughout the world, raising up wars and persecutions against the Church. The October 1917 Revolution that took place immediately after the request of Our Lady of Fatima was not a simple coup d’état bringing about a regime change. The aim of the Revolution was especially « to spread throughout the world the institutions and the mores of atheism6 », and the immorality that was to follow in its wake7. This Revolution occurred precisely during the huge conflagration of 1914 – 1918, which was the first Great War aiming to prepare for a one-world government. It is this that constitutes the errors of Russia: the creation of an atheistic society without Our Lord Jesus Christ. It is the supreme assault against the Social Kingship of Our Lord. And we must admit that these errors have now spread throughout the entire world. No nation has been spared. Tell My ministers: because they are following the example of the king of France in delaying the fulfillment of My request, they will share in his tragedy8. It was indeed during those years that an organisation was put in place by Moscow in order to infiltrate seminaries and novitiates with agents who had false vocations. These agents later reached influencial positions and gradually worked to effect a new orientation in the Church. This has been proven by a good number of documents. (We have provided references in an article about Fatima9 in our review le Sel de la Terre.) The Pope having ignored the protection that Heaven was offering, the Church became the plaything of her enemies. At the time of the Second Vatican Council, Moscow doubled the budget they allocated to the Pax organization, which was one of the principal agents of Communist infiltration into the Church10. Among other things, this group contributed to the attacks directed at the Curia during the Council11. - and the document Nostra Aetate13 which, along with the decree on Ecumenism14, leads to what we see today: churchmen who abandon missionary activities in order to work towards uniting all religions for the service of the atheistic and anti-Christian world government. Last October 1st, in an interview with the chief editor of the newpaper Repubblica in Italy, an interview which made huge waves, Pope Francis declared: « Proselytism [that is, missionary activity] is a pompous absurdity ». But this Ecumenism, which refuses the conversion of non-Catholics, leads to Religious Indifferentism, and Religious Indifferentism leads to Apostasy and to Atheism. That is what we see today in the entire world. Yes, the errors of Russia have penetrated inside the Church. So, what must we do? And can we do anything, we who are so few? We need to understand that God alone can now redress the situation. There is no longer any solution on the purely human level. But that does not mean that there is nothing for us to do: God always wants the co-operation of His creatures, but the co-operation must be in accordance with His plan. 1) We must fight in order to preserve our last holdings. It is obvious that we must above all maintain our chapels, our monasteries, our schools, our publications, our associations15, and, generally speaking, we must hold on to our hope of salvation and to the orthodoxy of our Doctrine. This is the lower battle. It is a defensive battle, a battle where we hold our own against the enemy. 2) But on a level higher than these countless battles of self-preservation, a battle of the greatest importance has begun and whose objective is the transfer of power16. « I will reign in spite of My enemies », said the Sacred Heart to St. Margaret-Mary in 168917; a promise that was renewed in the 19th and 20th centuries to a large number of mystics, in particular to Madame Royer in France. […] We may rest assured that today Our Lord is working mysteriously, as He always does, towards the destruction of the Beast and towards the restoration of His own Reign. This mysterious battle which is led by Christ the King constitutes the higher battle, and that is the principal objective18. May each priest, each layman, each little group of priests and laymen, who have authority and influence over a small remnant of the Church and of Christendom go to the utmost of their possibilities and power. […] May the leaders of the small groups and their members know each other and communicate with each other. May each of these small groups thus protected, defended, led and guided in their prayer and chants by a true authority, become as much as possible a bastion of holiness: this is what will garantee the continuity of the true Church and what will efficaciously prepare for a revival, when the day chosen by God comes19. Let us note what Fr. Calmel says: our bastions must be bastions of holiness. What is worrisome at the moment is not so much the advancement of the forces of evil, but rather the softening of the good. Actually, there’s probably a link between the two tendencies. Those who knew the heroic beginnings of Tradition with Archbishop Lefebvre note that today the traditionalists have become quite lukewarm in comparison to those heroic days: the slovenly manner of dressing, sinful and imprudent use of the Internet, weakening of the convictions among the young, the faithful who no longer read in order to maintain their Faith and to oppose errors, fewer people going on spiritual retreats, a proportional decrease in vocations, etc. If our principal focus in this lower battle is not on our sanctification, we will not preserve our bastions. We will be swept away in the general apostasy. Let us be watchful, let us wake up! Above this battle of self-preservation lies the higher battle whose goal it is to completely defeat the forces of evil. This is where God’s battle lies. And where do we stand in this battle? Many times, while I was spending precious hours in her company, Our Lady insisted that we fulfill our daily duties according to our state in life and that we offer this effort for the reparation of our sins and for the conversion of sinners. This is the fundamental condition which will enable us to push back the forces of evil that threaten to submerge the world today and which will bring about the conversion of Russia and a period of peace to the world. But she also explained the importance of the Rosary because it is the one principal means given to us by Our Lady for the sanctification of our daily duties20. This is how we can truly and efficaciously participate in the final battle which will definitively crush the enemies of the Church. This is within everyone’s reach and that is very encouraging! My dear Friends, you can easily see the importance of your role. […] You are a small remnant, but you carry the torch boldly. […] Ah! What a beautiful task, what a noble crusade lies ahead of you! The good God has placed you in a period of the history of mankind that is exciting for young people such as yourselves! It was just like this at the time of the Machabees when they left the corrupt Jewish society, and they too were very few. Judas Machabee with only eight hundred soldiers faced an army of twenty thousand – and he defeated them. And so, be confident, my dear Friends, God is with you. He will not abandon you, just as He has not abandoned us over the course of the last twenty years. Nor will He abandon you in the future because it is Himself that God wants. God does not want to disappear; He is God, He wants to remain God, not only in Heaven, but also here on earth. That is why He wants soldiers in His army.